Tony and Jeanne Pritzker are confident their reinvestment in the campus will generate community-wide returns. 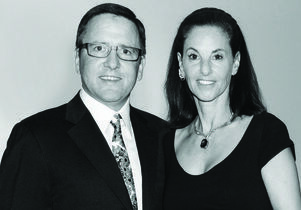 A second round of Centennial Campaign giving from the Anthony and Jeanne Pritzker Family Foundation brings the couple’s campaign contributions to nearly $60 million, supporting causes across campus and in the community. And as the Pritzkers prepare to open their home March 22 for the annual fundraiser they host for the UCLA Institute of the Environment and Sustainability — this year honoring Van Jones, Keely Shaye Brosnan and Pierce Brosnan — they’re hoping the scope of their giving inspires others. 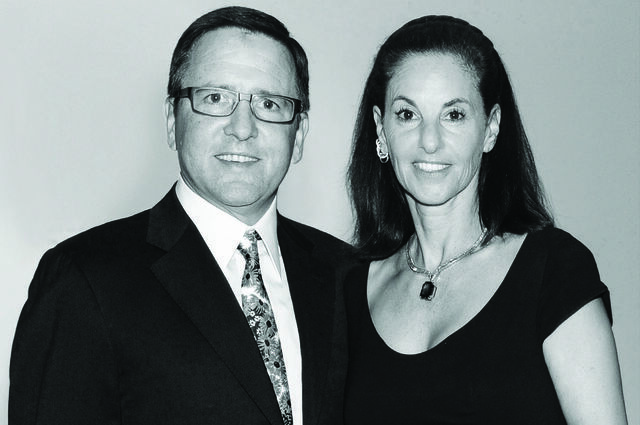 Ten million dollars of their new gift establishes the UCLA Pritzker Center for Strengthening Children and Families and endows a faculty chair at the Graduate School of Education and Information Studies. The new center will involve campus units from several disciplines and community partners, serving as a hub for research, prevention and intervention efforts that will work to strengthen families and help children avoid entering the child welfare system. Led by Tyrone Howard, the center’s director, and other faculty experts, the UCLA Pritzker Center will conduct research into policy and practices affecting vulnerable youth and families; advance prevention and intervention services that build family resilience; provide training and professional development for practitioners; and collaborate with government agencies, nonprofits, schools, legal professionals and child advocates. These aims complement the Pritzkers’ past support for Guardian Scholars programs, which support current and former foster youth students at UCLA and other colleges. An additional $1.5 million furthers research into carbon upcycling. As part of the NRG COSIA Carbon XPRIZE competition, a faculty team from the UCLA Samueli School of Engineering has developed technology for transforming carbon dioxide into construction material called CO2NCRETE. The Pritzkers’ gift will help scale up production of CO2NCRETE, reducing greenhouse gas emissions from power plant smokestacks while supplying reliable building resources. The Pritzkers also contributed $12.5 million to benefit the Hammer Museum at UCLA and the UCLA School of the Arts and Architecture. The museum recently announced its $180 million expansion campaign to renovate its facility and enhance public programming and exhibitions. The campaign will add 40,000 square feet of new space, transforming the museum’s galleries, communal areas and street-level presence. These new gifts to strengthen families, improve the environment and enrich the arts build on the Pritzkers’ longtime support, including a 2013 gift benefiting foster youth, sustainability and public arts for children and families. They are confident that their reinvestment in the campus will generate community-wide returns. For more than a decade, the Anthony and Jeanne Pritzker Family Foundation has been investing in strengthening many of the institutions that define Los Angeles. The foundation aims to enrich the community not just for the present, but for generations to come, with a particular focus on medicine, higher education, the environment, the arts and foster care. The Pritzkers’ latest gifts are part of the $4.2 billion UCLA Centennial Campaign, which is scheduled to conclude in December 2019 during UCLA’s 100th anniversary year.